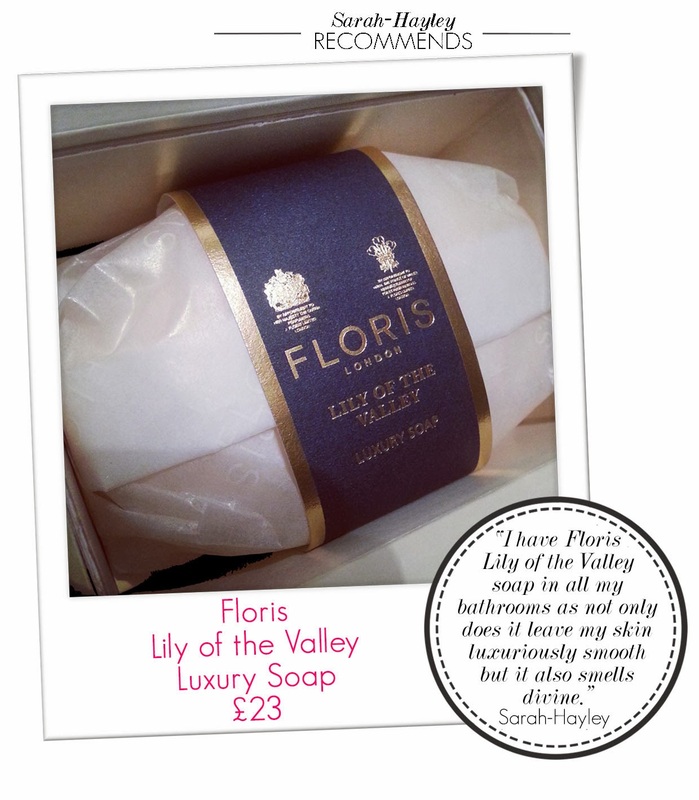 A few months ago I made my regular visit to Floris London in Jermyn Street and amongst my fragrance purchases I bought a set of three Lily of the Valley luxury soaps. Not only is the fragrance addictive but the creamy consistency leaves my hands silky soft. I was then surprised when it wasn't only me who became obsessed with the soap, when friends visited they all wanted the details. At Christmas I bought the soap for family and friends and once again received many compliments. It has now become my favourite gift for any occasion.